Clarence Nanney was born in 1919, Greene County, Tennessee. 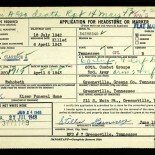 He was a carpenter before he enlisted in the Army on July 4, 1942 at Fort Oglethorpe, Georgia. He served in Co B, 60th Inf, US Army, WWII. 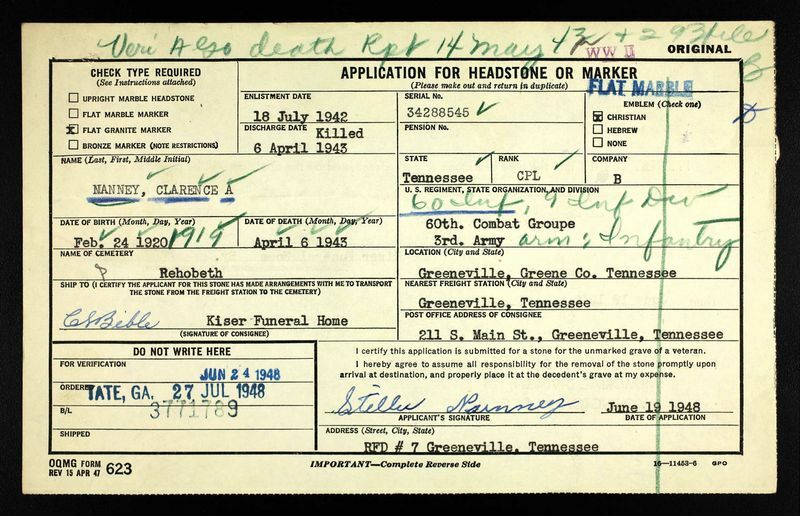 He was killed in North Africa April 6, 1943 and buried in Rehoboth Cemetery, Greene County, TN.